In April 2016, the Breast Center Screening center on Aruba officially opened. Women aged 45 to 75 are receiving an invitation to have a bi-annual breast examination. 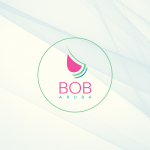 Aruba is another country that uses the RADventure’s Breast Cancer Screening (BCS) system for managing the whole screening process; inviting and screening clients, evaluating their mammograms and providing results and eventual follow-up. This process is fully paperless. Philips and RADventure are in the final stage of implementing Breast Cancer Screening for Canarias. The system handles about 250.000 invitations each year. Philips and RADventure are providing full support for all system components. In the ROBINSCA study around 400.000 clients will be filtered to participate in 3 research groups of each 12.000 people. The goal of the study is to research a new method for determining the risk for cardiovascular diseases. RADventure has started the development of the system and it will go live before the end of 2014. The MammoXL environment enables the sharing of mammographs and radiology reports across hospitals in the Netherlands, using standardized exchange transactions (IHE, XDS). The system was developed by Philips and RADventure provided interfacing between the National Breast Cancer Screening software and the MammoXL registry. Currently 12 major hospitals are connected. The iColon 4 Trial started in 2013 and is still running. 22.000 People are receiving a FIT-test and 2 Ddifferent brands of tests are being compared. All IT services and software are supported by RADventure. The target of this trial was to test the willingness to participate once or repeatedly to colon cancer screening. It was run in 2011 in the Amsterdam / Almere area in the Netherlands. 10.000 people were invited for a 3th round. All IT services and software were supported by RADventure. In 2009/2010 7.500 participants were enrolled in a study to evaluate the participation rate of a population-based screening program by colonoscopy or CT-colonography in the Netherlands. A total of 1.250 Colonoscopies and 875 CT-colonographies were targeted. RADventure performed full ITsupport for the trial. RADventure implemented the Breast Screening System for Curacao in 2010. The system handles about 20.000 invitations each year and RADventure is fully supporting the system. In 2008/2009 the uptake and efficency in a second round FIT screening was investigated and compared with first round results. 5.000 People were invited for a first round, 5.000 people were invited from the Corero I Trial and another 3.200 people were invited for a 2-sample FIT test. RADventure fully supported the trial from an IT perspective. In 2008 started the Chlamydia Screening program in the Netherlands. In the regions around Amsterdam, Rotterdam and in South-Limburg, 600.000 young people were invited to participate. The logistic process was managed by RADventure’s software making use of a personalised webportal and SMS and E-mail services. RADventure was presented with the Spider Award for it’s innovative development. In 2006 the Corero I trial was run in The Netherlands to investigate uptake, efficiency, effectiveness and client experiences based on gFOBT, FIT or Sigmoidoscopy based screening. The trial was supported by RADventure’s services and system. 15.000 Clients were involved in the study. iBOB supports the National Breast Cancer Screening Program in the Netherlands and started in the year 2000. Currently over 1.1 million women are invited each year (with a frequency of every 2 years) and an attendance rate of 80%. The program has been organised and implemented by Philips and the supporting screening software is developed and supported by RADventure. This program is considered to be internationally exemplary for programmatic breast screening. In 2010 RADventure supplemented the existing infrastructure with AVI : a webportal allowing clients to reschedule their appointments online. From 1999 until today, the CIS (Cervix Information System) is supporting the Dutch National Screening Program for Cervical Cancer Screening. Over 6 million woman are administered over the years in the call/recall system that is synchronising with the population register. Their related testresults and treatment is followed up in CIS. RADventure has developed and is hosting and supporting the entire system. From 1998 to 2011 RADventure’s software and services have supported the Cervical Cancer Screening program in The Netherlands (Mid / South Limburg) where about 275.000 clients were participating. This screening system and all of it’s related data was converted into CIS (the Dutch National Screening Program) in 2011 and the integration was provided by RADventure. In this trial hrHPV testing was offered on self-sampled cervicovaginal specimens to 45.000 women who are non-responder in the conventional cervical screening program. RADventure provided the integration with the National Screening Program.